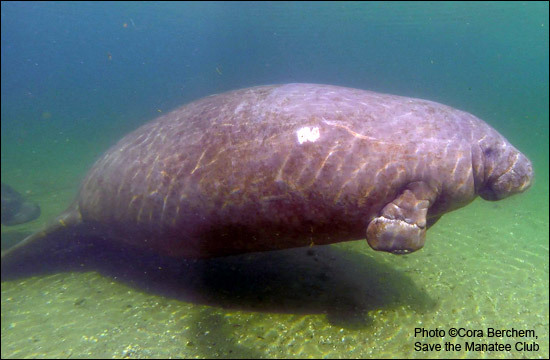 Manatees like Save the Manatee Club adoptee Lucille remind us that it is important to responsibly recycle fishing line and trash so animals don’t get entangled. Lucille bears a scar from fishing line that became embedded on her flipper. She lost the lower half of her flipper from the entanglement. 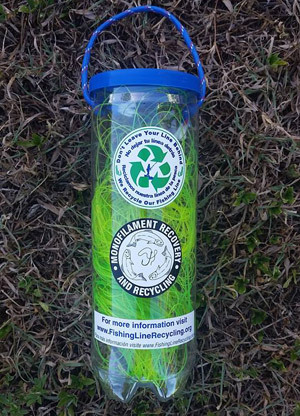 The Monofilament Recovery and Recycling Program (MRRP), which started in 1998 in Florida, has been steadily growing over the past two decades. The program has been dedicated to reducing monofilament in the environment, through the use of outdoor recycling bins at boat ramps and marinas, as well as indoor recycling bins at local tackle shops and now 35 states are actively participating in MRRP, as well as parts of the Caribbean. Recently, the program has revamped their efforts to connect with local fishermen in order to further spread the word about MRRP. This means canvasing at boat ramps around Florida with handheld monofilament recycling bins. Of course, MRRP couldn’t do this without help! As part of the program’s outreach, they recently enlisted the help of 160 1st-5th graders at Wynnebrooke Elementary School in West Palm Beach, Florida. The kids learned a little more about the recycling effort of MRRP, while some of them made their own bins in order to hand them out when they are able. The kids also practiced their “sales pitches” and were quizzed on how they were going to convince fisherman to take and use their portable monofilament bins. At the end of the day, both memories and monofilament bins were made, and hopefully some knowledge was shared. Students helped make portable recycling bins to hand out to local fishermen at boat ramps.